Gemma Wood – 2 Weekends, 2 Half Marathons…… 4 TIRED LEGS (2 of them damaged!!)!! 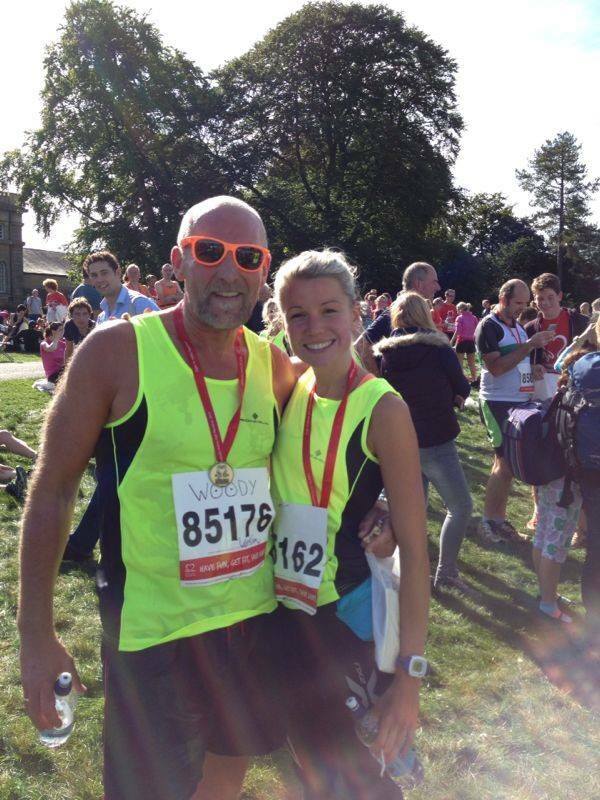 On October 6th one of Lara’s best friends Gemma Wood undertook the first of 2 half marathons for Lara’s Foundation. She reported that the first which took place in Blenheim was a glorious sunny day and was going well until disaster struck! Gemma hurt her leg on mile 7 of 13 – but somehow still battled on to complete the half marathon in an amazing time of 1 hour and 58 minutes – in tears!! Gemma had some emergency physio on her leg and hoped that she would still be able to complete the second half marathon a week later. However, all was not lost when Gemma’s friend Alex Dupee sprang into Gemma’s (slightly sweaty) running shoes and completed the second of the half marathons, which took place in Henley. Alex completed the half marathon in 1 hour and 48 minutes and seem to be jolly pleased with himself! 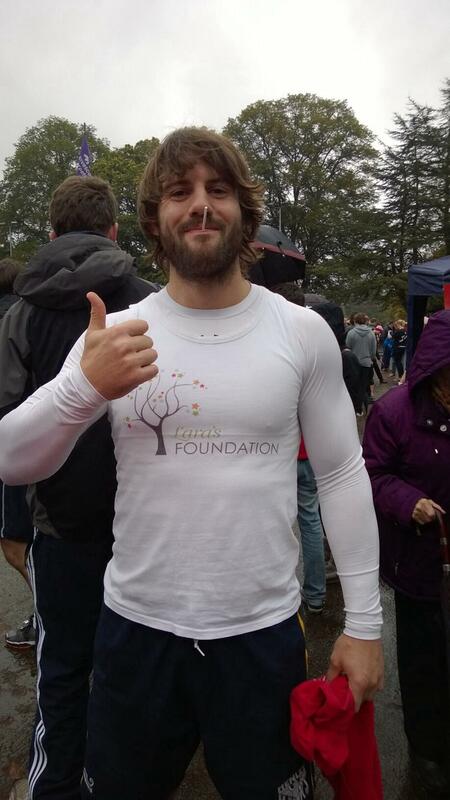 Alex we look forward to seeing you in the future at another Lara’s Foundation sporting event! Gemma we hope you’re on the mend and your leg is better soon. and…Daddy Wood – nice glasses! Thank you to Gemma, Daddy Wood and to Alex for such great efforts and for all your fabulous fundraising. EC London Lara Friday is back in town!! EC London, the school at which Lara used to teach, host another of their Lara Fridays!! Lara Fridays are now being held in EC schools across London, we’re sure all the students are enjoying the chance to splurge on cakes, brightly coloured finger nails and home made jewellery! Lara loved her time at EC London and we are so grateful and delighted that her memory and legacy continues. Thanks EC and have a great LARA FRIDAY!!!! Rachael Newsham smashes Ribby Hall for Lara’s Foundation! Lara’s Foundation held its most body slamming (!) events yet on September 25th as Rachael Newsham, an international Presenter & Program Director of Les Mills, descended on Ribby Hall in Lancashire to hold a Body Combat and a Sh’bam class. 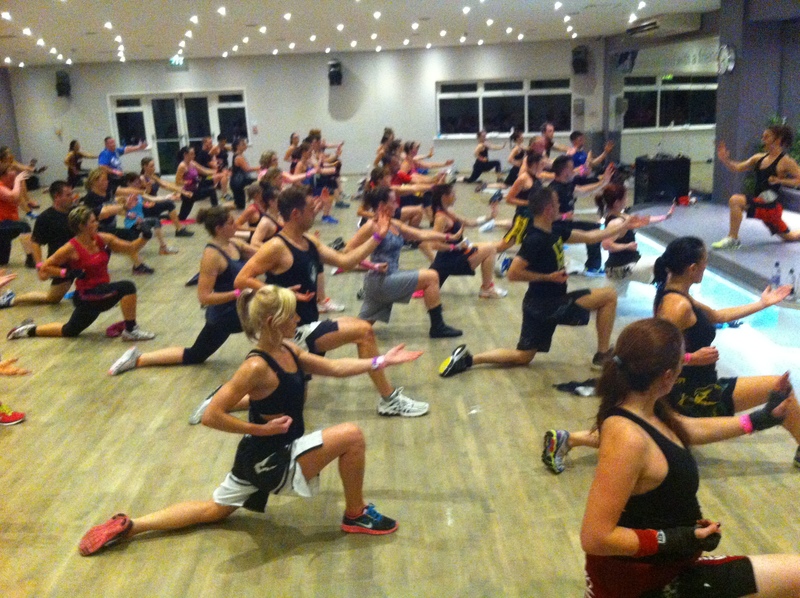 The classes were well received by Lara’s Foundation supporters as over 100 people attended raising a fabulous £1200! We would like to say a massive thank you to Rachael who jetted over to the UK to give these amazingly energetic classes. Whatever will Lara’s Foundation do next?! Watch this space! We are delighted to announce today that the Robus Group, a leading provider of insurance management and fiduciary services, and winner of the 2013 Independent Captive Manager of the Year award at the inaugural UK Captive Service Awards, have adopted Lara’s Foundation as their chosen charity. We would like to thank Group CEO, Chris Le Conte, for his support and very much look forward to developing our relationship going forwards.